Demanding aerospace applications require solutions that provide optimal performance in harsh environments. Meeting this requirement is the rugged iVDO NVRP (Network Video Recorder/Playback) that records, stores, and plays back up to six MPEG-2 and/or H.264 video streams along with audio and metadata. the unit’s simultaneous recording and playback feature enables users to view live and stored video while the unit continues to record. 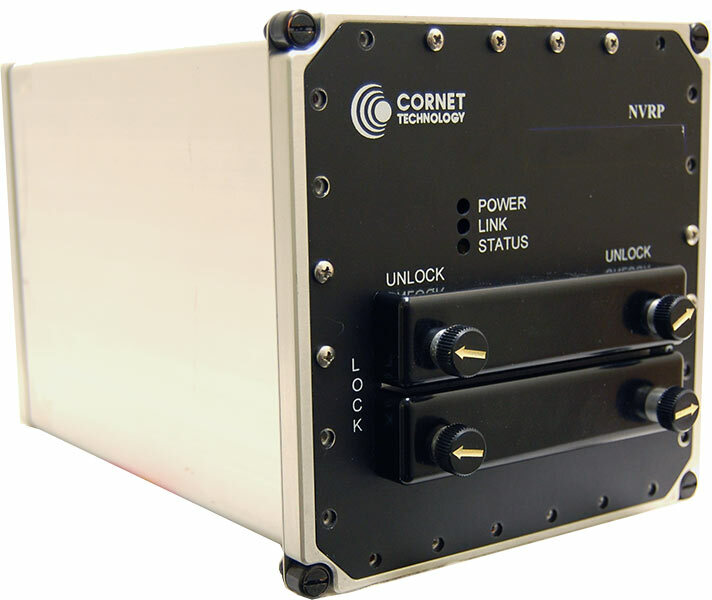 The iVDO NVRP complys with STANAG 4609 and meets all required safety and environmental specifications for airworthiness. Recording of video and audio is on two solid-state 256 GB SATA hard drives. Users control play, pause, and stop settings as well as unicast/multicast, IP addresses, port numbers, start-time, source etc.. All external user interfaces are on MIL-DTL-38999 circular connectors. The unit contains a Real Time Clock that is automatically updated via Network Time Protocol software from a local Time Server over the wired Ethernet interface. The unit’s Ethernet interface handles Network Accessible Storage (NAS). The NAS function does not interfere with the iVDO NVRP’s video recorder/player functions. 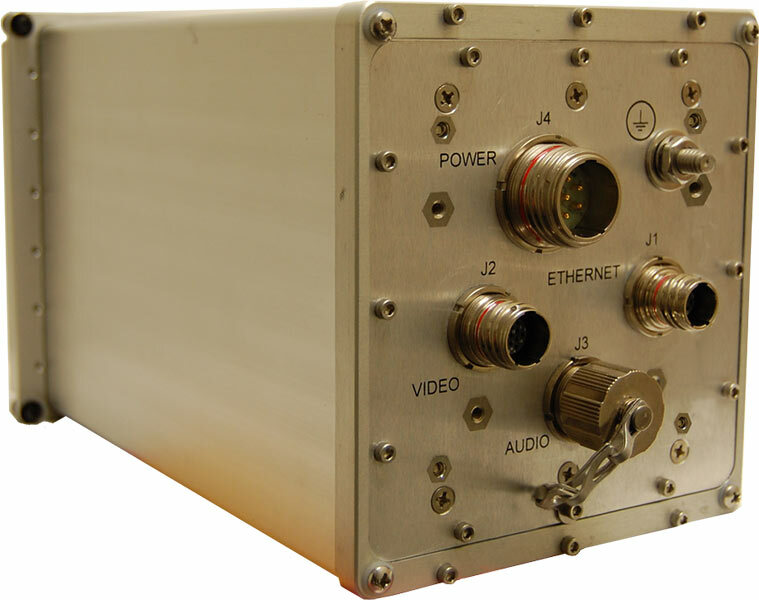 Uninterrupted network video, audio, and metadata recording of military surveillance, aerospace, avionics, and ground operations. 2 associated with two video streams.